If you are looking for a superbly equipped luxury vehicle that’s also great for transporting the family, then it’s time to take a hard look at the 2019 INFINITI QX60. This midsized crossover/SUV offers excellent driving dynamics, tons of interior space, and a wealth of luxury and features. You’ve got two different trim levels to choose from with the 2019 QX60: Pure and Luxe. Each comes standard as a front wheel drive vehicle, but is also available in all-wheel drive configuration. One of the most unique aspects of the 2019 INFINITI QX60 is the easy access to its third row seating. On most vehicles, accessing that third row seating is a complete and utter nightmare to put it mildly. Thanks to some smart engineering from the folks at INFINITI, you can easily get into the third row and that’s even if there’s a child seat installed. Another great feature the 2019 INFINITI QX60 offers drivers with families is the tilt and slide function of the second row seating. It’s another way that INFINITI made that third row seating so accessible. To find out if the 2019 INFINITI QX60 is the right vehicle for you and your lifestyle, come take a test drive at Berglund INFINITI of Roanoke. We have an incredible selection of new INFINITI models, including the QX60, to choose from at our dealership serving the Roanoke and Lynchburg, VA areas. We’re also a premier source for luxury automotive maintenance. No matter what kind of job or service you need performed on your vehicle, trust our expert mechanics to provide efficient and high-quality service for you. We invite you to schedule your next service appointment at our dealership located at 5000 Franklin Rd. Roanoke, VA 24014. Incredibly spacious and feature packed. Those are just two ways to describe the interior of the 2019 INFINITI QX60. Opt for the Limited package on the QX60 and you’ll enjoy ultra-premium touches like quilted semi-aniline leather seating and dark silver wood accents. As noted earlier, the 2019 INFINITI QX60 also sports an incredibly spacious cabin with seating for up to seven occupants. Cargo space is also optimal courtesy of the folding second and third row seats in the vehicle. There is also a wide variety of upscale tech options available including dual 8-inch video screens, Bose® Cabin Surround® sound system, and more. Don’t think for one second, however, that INFINITI forgot to equip the QX60 with the latest and greatest safety technology. A comprehensive suite is available with features like Around View monitor, backup collision intervention, blind spot warning, blind spot intervention, and forward emergency braking with pedestrian detection. Every trim level in the 2019 INFINITI QX60 lineup is powered by a 3.5L V6 engine under the hood that delivers 295 horsepower. As we mentioned earlier, the midsized crossover comes standard in front wheel drive configuration, but an Intelligent All Wheel Drive system is also available. 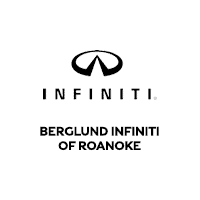 In addition to our tremendous selection of new and pre-owned vehicles, you’ll also get something else exclusive to Berglund INFINITI of Roanoke: a first-class customer service experience. You’ll notice it the moment you walk through our showroom doors and feel it as you return to our dealership for service and maintenance appointments. It’s just another reason why so many luxury shoppers in the Roanoke, VA region choose our dealership. *The Bluetooth® word mark and logos are owned by the Bluetooth SIG, Inc., and any use of such marks by INFINITI is under license.